Hopefully this cold weather wont stay too much longer and we will get into a more normal spring. With that in mind its a good time to remind ourselves what to be doing in April. Tomatoes are an essential crop on my allotment, and whether you have a big space or just a few pots on a balcony it's one you should not be without. There are fortunately many types that can be grown outside in the UK in summer so you don't even have to have a greenhouse. However in saying that the earliest crop of fruit will come from plants grown in a greenhouse. 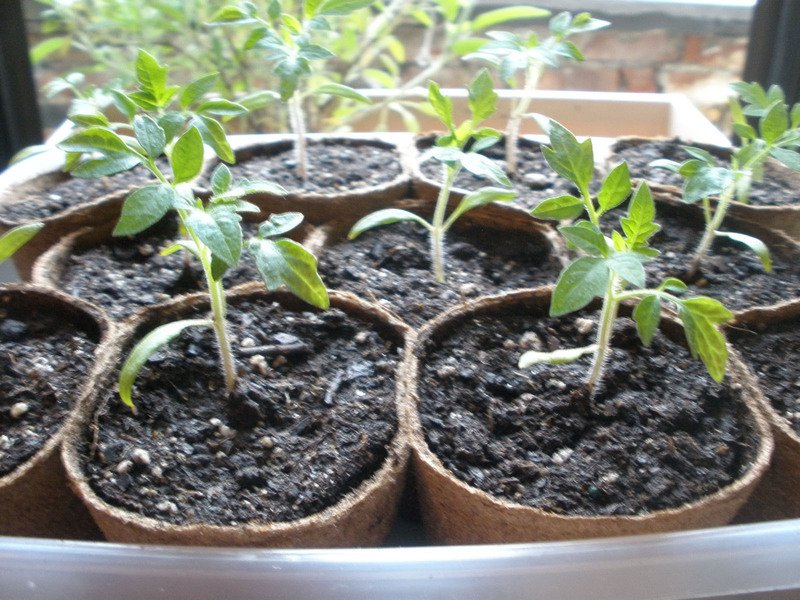 Tomatoes are very easy to grow from seed, so start sowing now to raise indoor varieties, they are a great plant to get children interested in as the fresh young fruit you pick will be very sweet - ideal introduction to grow (and eat) your own for younger gardeners. You can also be planning to plant your Strawberries out now. Don't forget that it is better to remove any flowers that form in the first year so that the strength goes into growth rather than fruit production so that you will and get bigger crops in future years. Choose several different varieties to spread the harvest season from June until late summer. Rooted runners, sometimes called crowns, are best obtained from specialist fruit nurseries. If you cover your strawberries with a cloche this will encourage earlier flowering, but you'll need to open the cloches during the day to allow insects in to pollinate the flowers. Set out your seed potatoes in trays and stand in a cool, bright position for shoots to form (known as chitting). You could have planted the early varieties in March but with the cold weather many gardeners have not done that this year. The main-crop potatoes are planted out later in April. Potatoes can be planted in deep drills or in individual planting holes, with a couple of inches of soil mounded over the top of them. If you are expecting a frost cover over with fleece or straw to protect the ground from freezing. 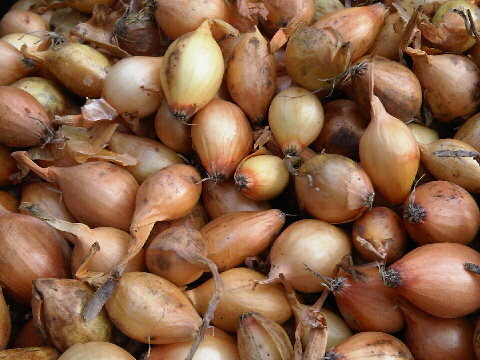 Plant shallot sets in March or early April, spacing them about 15cm (6in) apart separating the rows by about a foot (30cm). Normally when the conditions have warmed up in late March, the onion sets can be planted out into a firm seedbed, but this year the temperatures are delaying things. Hopefully we will get a good summer and autumn so we don't get too many delays in the allotment. Container grown trees can be planted out at any time of year. Bare root trees should have been planted by now so don't be tempted to save money on them now. Protect any fruit trees that are about to blossom from the frost using fleece as the frost could kill off your crop for the year. But when in blossom take off the fleece during the day to allow insects to reach the flowwers. Hand-pollinate the flowers of peaches and nectarines with a soft brush. Outdoor trees will also benefit from a fortnightly spray against peach-leaf curl. Cover emerging rhubarb shoots with forcing jars or old buckets to exclude light and encourage long tender stalks. Sow seed in pots in the greenhouse during late March and April to raise plants that you can plant out from May to June.